Jaipur boy Atul Agarwal topped the examination this year with 618 marks. Aagam Sandipbhai Dalal from Ahmedabad bagged the second position with 615 marks and Anurag Bagaria from Surat secured the third position with 597 marks. 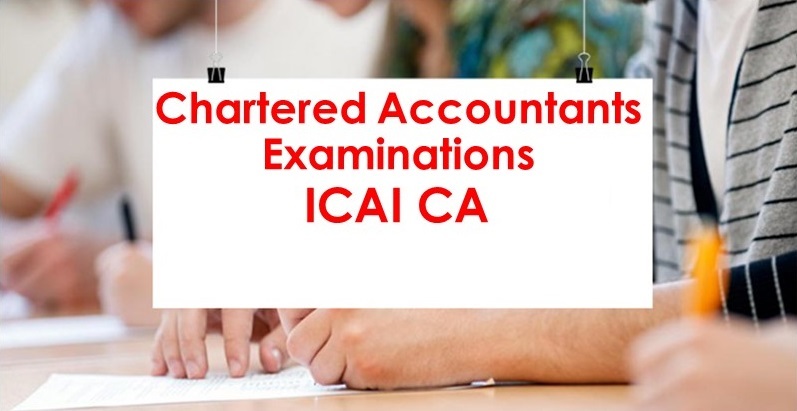 ICAI CA Final May Result 2018, ICAI CPT Result June 2018 Highlights: The Institute of Chartered Accountants of India (ICAI) has released the results of the Chartered Accountants final examination, foundation examination and Common Proficiency Test (CPT) today, on July 20. 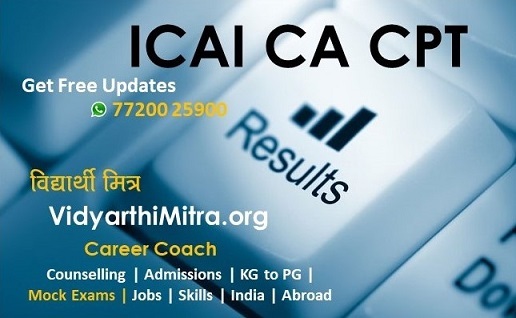 The results are available at the official websites icaiexam.icai.org, caresults.icai.org and icai.nic.in at 6 pm. 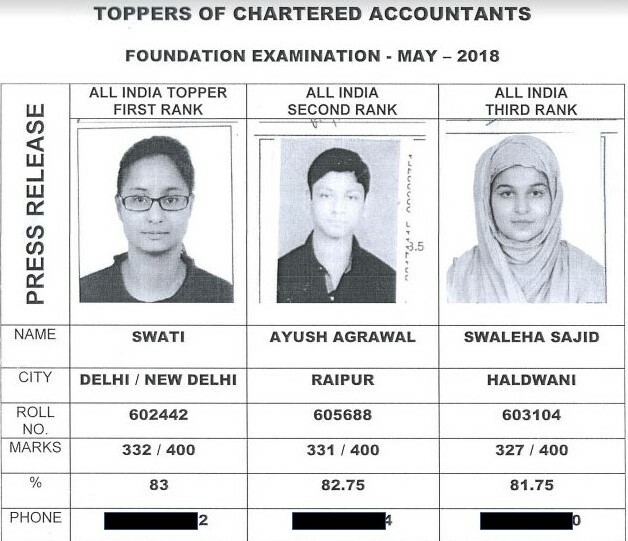 The exams were held in May/ June 2018. A total of 1,21,850 candidates were admitted in the final exam (old course) and there were 381 exam centres set across the globe for the same. 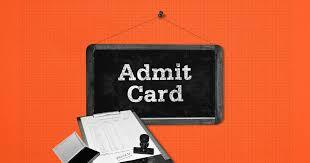 For the new course final examination, a total of 5,406 candidates were admitted and 239 centres were set up. The students who have appeared for their final examination, foundation examination and Common Proficiency Test (CPT) can access their result via e-mail. 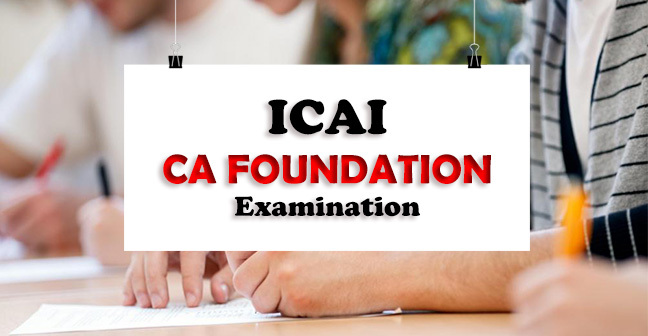 All they have to do is to register their email ID and send request at the official website — icaiexam.icai.org. Delhi girl Swati secured first rank with 332 marks (83%). 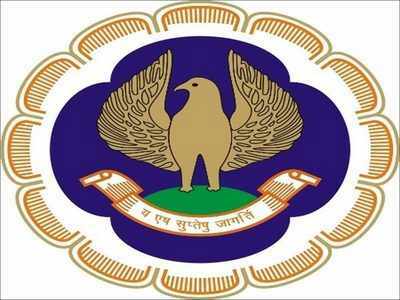 Raipur boy Ayush Agrawal bagged the second position with 331 marks (82.75%), and Swaleha Sajid of Haldwani grabbed the third position with 327 marks (81.75%). Prit Pritesh Shah from Surat topped the examination with 542 marks (67.75%). 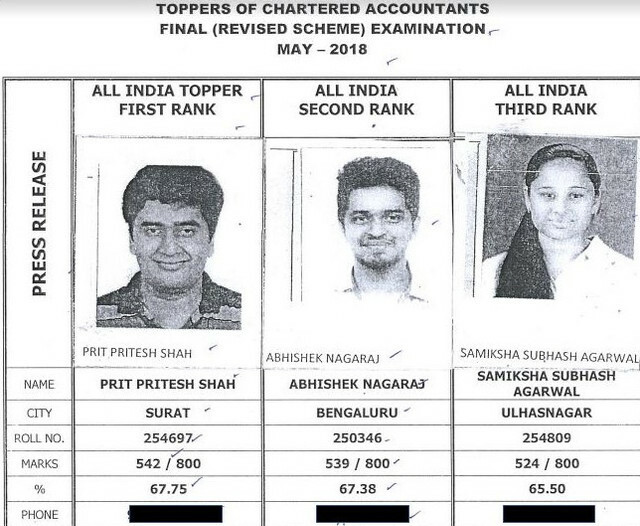 The second position was grabbed by Abhishek Nagaraj from Bengaluru with 539 marks (67.38%), and Samiksha Subhash Agarwal hold the third position scoring 524 marks (65.50%).